All the info you need to get started. We hope you love your Sway Bar experience. 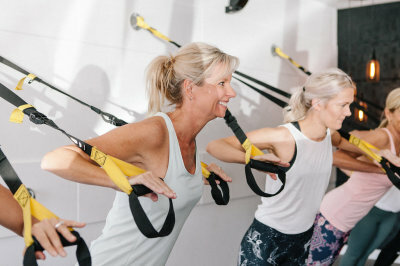 Only 5 minutes from Robina Town Centre, Sway Bar offers private and small group classes in an intimte and luxury studio. 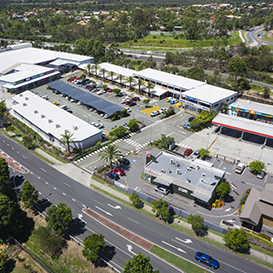 Parking is a breeze with the centre providing two easy access car parks. 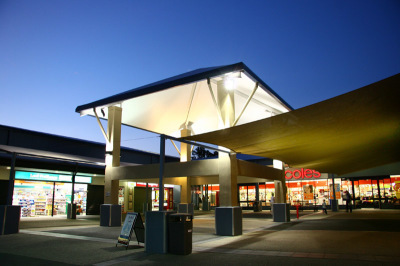 One located at street level and a basement carpark under Coles. Allow 5 minutes for parking as the centre can be a little busy at peak times. Class bookings are essential and can be made by visiting our ​ website booking page, by phone or via the MindBody smart phone app. Follow the links below to book. Call our booking hotline and speak to our Booking Manager if you would like any guidance or assistance in booking your classes. We are here to help. Speak to your Sway Bar teacher or call our booking hotline to make any classes as weekly reoccurring bookings. All equipment is cleaned with an anti bacterial wash at the end of every class. We have chilled water on tap but it is recommended that bring your own water bottle. Wear comfortable workout gear, no need for shoes. All classes are performed without shoes. We prefer non slip socks are worn in all classes. Non slip socks are available for purchase in store. There are 2 public toilets in the centre where you can change if required. Please let your teacher know prior to starting your class if you have any injuries or illness that are relevant. Your experienced teacher can assist with modifications to improve your condition or to make you more comfortable. Classes start on the hour or half hour and run for approximately 55 minutes. Class sizes are kept small, equipment classes have a maximum of 6 clients. TRX classes have a maximum of 8 clients and mat classes have a maximum of 10 clients. By keeping our class sizes small we can offer a more personal experience. Classes fall into 2 categories being either a mat class or an equipment class. 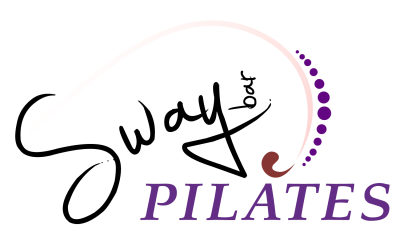 Reformer and Tower and Chair classes are categorised as equipment classes and ALL other classes are classes are categorised as mat classes. For private or semi private classes please ask a teacher or call our number. As all our classes are kept small we need to ensure that everybody that wants to attend has a spot so bookings are essential and if you cannot attend a booked class please advise us as soon as possible by cancelling you booking on our website, via the smartphone app or calling or texting our number. 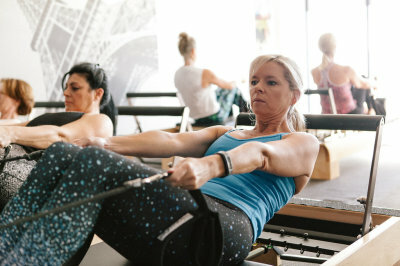 Sway Bar has the right to charge for late cancellations if the cancellation is made less than 12 hours prior to the start of class or for no shows.